It's nearly the holiday season which means it's time for gift sets! 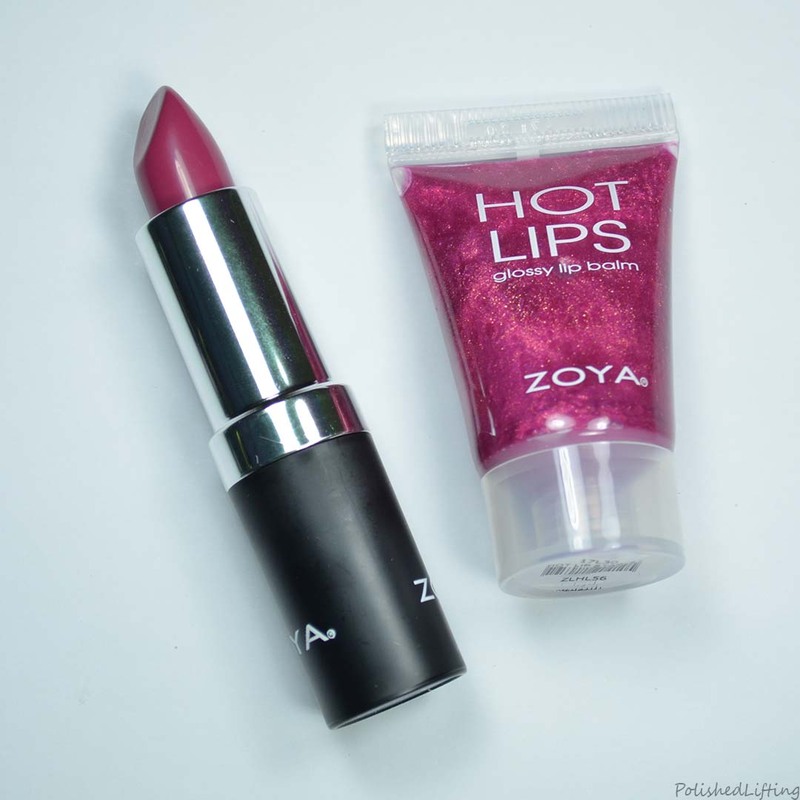 Today's post features the Zoya Kissmas Lip Quad and all of the brand new Lip + Lip Duos. Of all of the lip sets available this holiday season, the Kissmas Quad is my favorite. 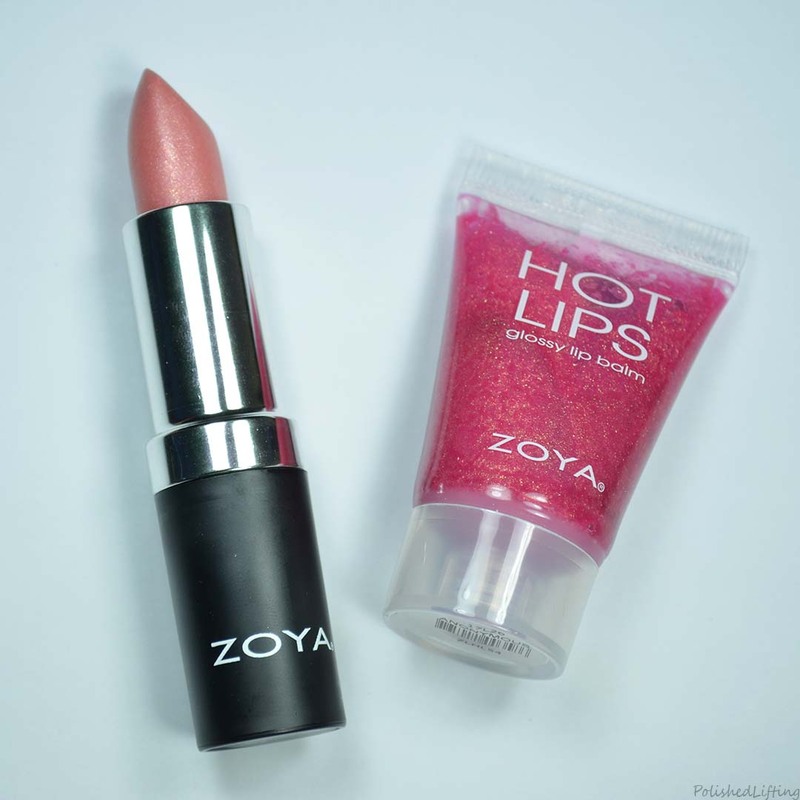 These lip glosses are they most wearable of everything being offered. As you can see from the swatches above all four are great for everyday occasions. This was the most unusual color combo of the Lip + Lip duos but I can see why they are paired up. Both are ultra bright and make quite a statement. 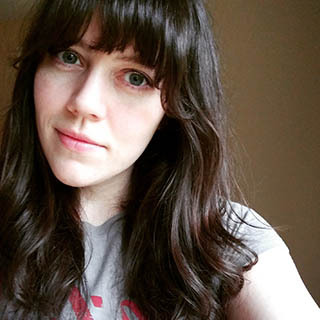 If you'd like to see a lip swatch of Lucky I have one in an old post here. I have to apologize for not having a tube shot of Addie. When I tried to do a flat lay with Luck it was blowing out Luck to get the proper exposure for Addie. 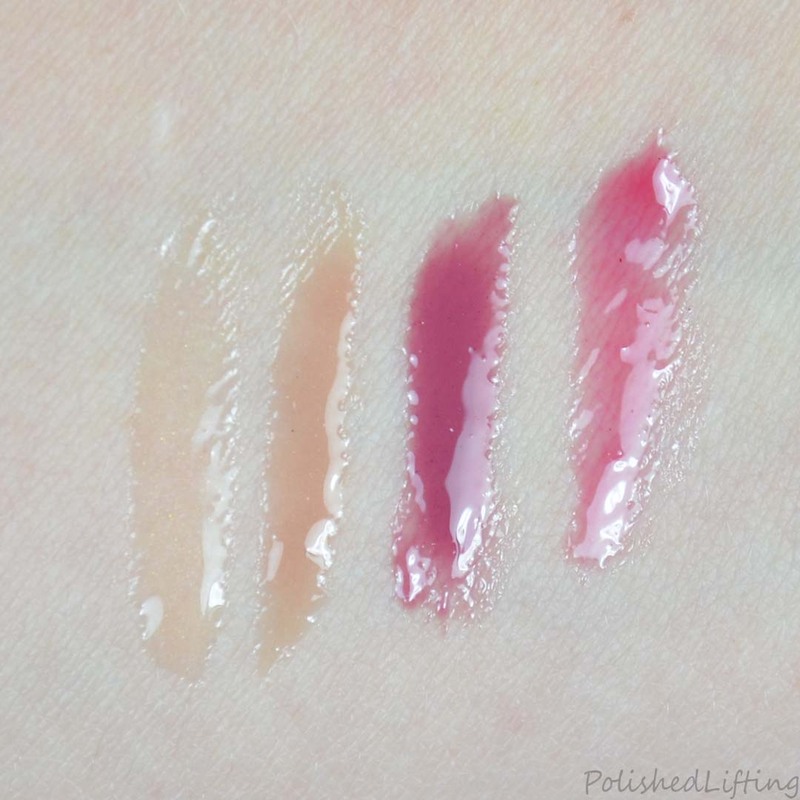 I do however have a swatch of Addie in this blog post. I really like seeing a neutral color like Candace paired with something more playful like Anonymous. Anonymous is a bit more sheer than you might think, but they are a lovely pairing overall. This is such a great color pairing. Starlet is like the shimmery glossy sister to Bristol. They're very close in color. 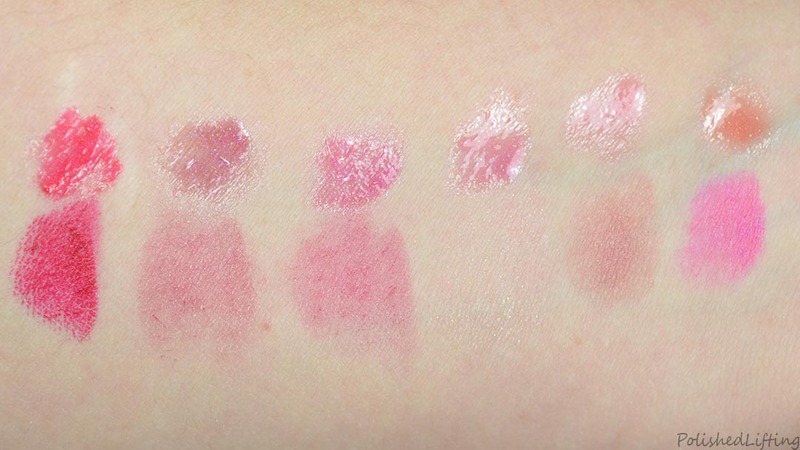 You can find a lip swatch of Bristol here. Paisley is one of my top everyday lipstick shades. I think pairing it with Hocus Pocus is a nice touch. You can find a lip swatch of Paisley here. It doesn't get any more classic than a red on red duo. While I like all of the duos, I am immediately drawn to this one. 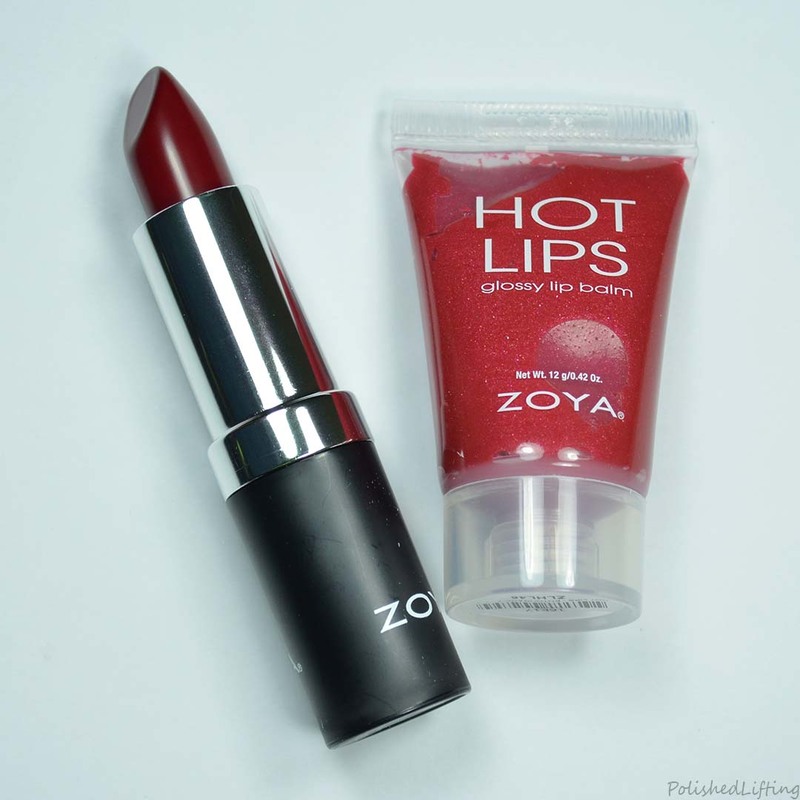 I feel there is nothing more classic than a good red lip! Sets are paired vertically. From L-R: Holly Days, Believe In Magic, Taste Of Winter, Fun & Frosty, Snow Kissed, All That Glitters. 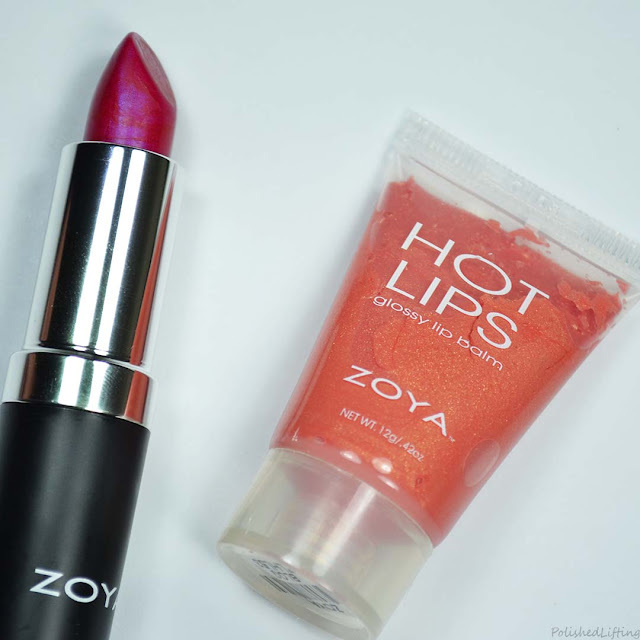 The Zoya Hot Lips Holiday Gift Sets are currently available through the Zoya website. 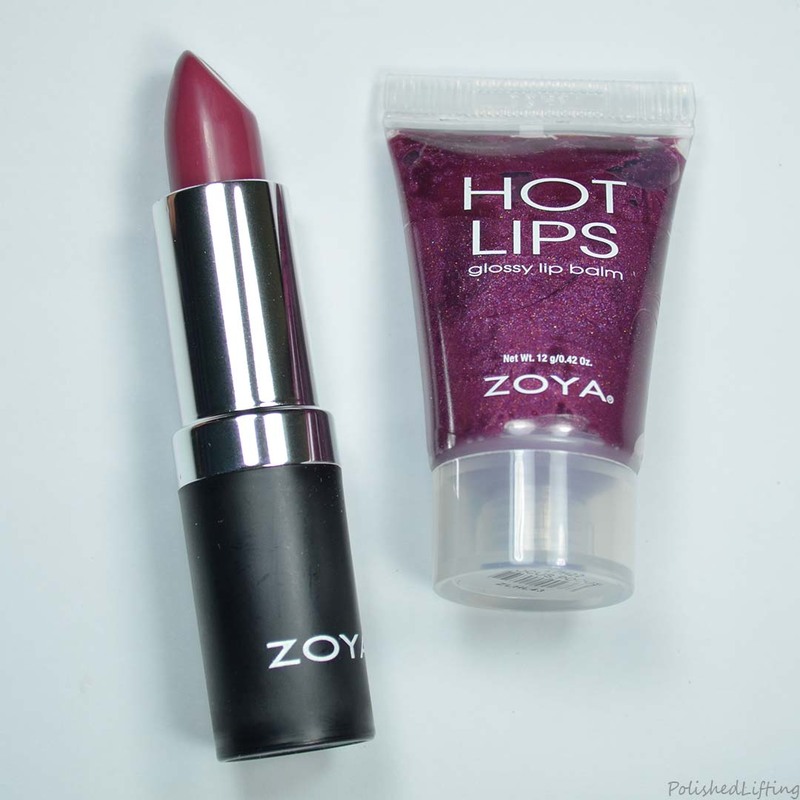 The Hot Lips quad in Kissmas retails for $24. The duos retail for $15. If you enjoyed this post you might like Zoya Jubilee Winter 2018 Collection Pt 1 and Christmas Gift Nail Art | Ehmkay Nail x Polished Lifting Winter Nail Art Challenge.